1 Bed 1 Bath 760 Sq. 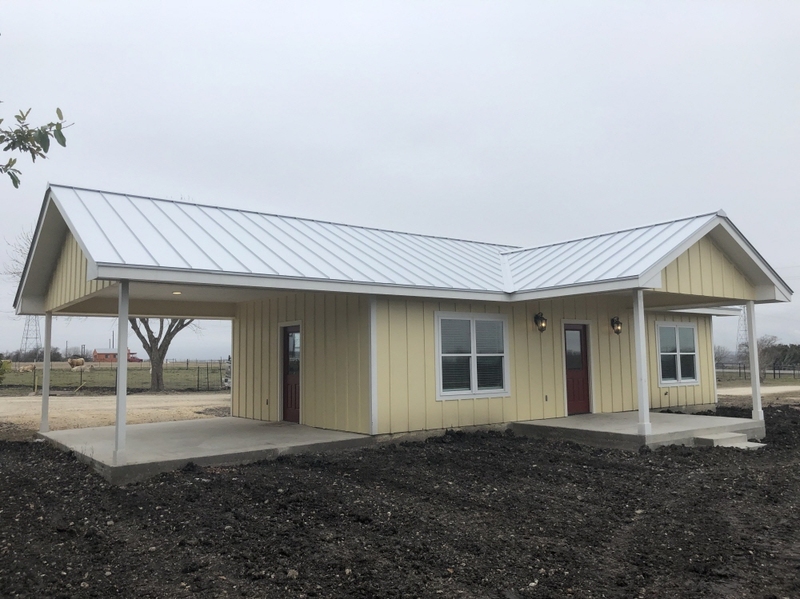 ft.
**Navarro Schools** New high end quality construction. Builder owned home with attention to every detail. Gorgeous finishes with shiplap interior, high bead-board ceiling, walk in full tile shower and open concept living. Custom cabinets, stainless appliances, nice laundry room, large bedroom, covered porches and carport. Welcome to the country, welcome home. 1 beds 1 Bath 760 Sq. ft.